Le juffae, 06 Oct 2008Maybe?!?! . . . Personally I do not like to use phones that I have to flip, open, slide, etc.... morethe phone is fully operational without using the qwerty keypad. I think the majority of the people bashing the phone here are missing the point. 1. This phone is revolutionary. With a completely open OS you can do whatever you want, write any program you want. 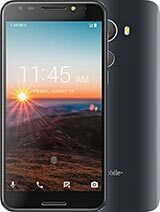 T-Mobile has already said video capture and stereo bluetooth would be addressed in a future update. 2. Stop comparing it to the iphone already! An iphones an iphone, just like a sidekicks a sidekick and a blackberry is a blackberry. 3. If you dont like the phone, just dont buy it! There are tons of phones out there, chances are there has to be atleast one that meets all the requirements and has the capabilities that you're looking for. All I'm saying is that with an open OS you can do damn near whatever you want with this phone, the possibilities are endless and thats what makes this such a neat phone! Maybe?!?! . . . Personally I do not like to use phones that I have to flip, open, slide, etc. to access some controls or have them operational. For me it is such a bother. Full qwerty keypads maybe useful but I think they make the phone ugly. Big and clear display screens are a must for me. Can anyone please innovate and stop aping the iPhone. Rmondo, 06 Oct 2008Good, I have a few questions. I see that while you are on a call you cannot access the main me... moreNevermind on the accessing other applications while on a call, I see you can press the "home" button and it will take you to the desktop menu. but what about notes or memos? Iwork4tmobile, 06 Oct 2008guyz not because i work for tmobile but the google phone is way better than the iphone.. when ... moreGood, I have a few questions. I see that while you are on a call you cannot access the main menu such as the calendar, maps, and mail. Can you find out a way to do so? I also do not see a notes or memo option? Can you find out if the phone has these options. This would be esetial to a business person. 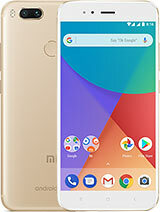 guyz not because i work for tmobile but the google phone is way better than the iphone.. when the iphone was allowed to be used with over services i definately tried it but it definately sucked badd.. freezes constantly.. currently rite now our Tmobile call center has been given 30 gphones to be tried upon employees and its the bomb.. Anonymous, 01 Jan 1970Danger is my middle name. Sorry we are not all old and still have to pull over to text someone. Texting has become an ease with most phones. I dont even have to look at the phone to do so, now this phone that would be a diffrent story. Looks like I would have to set it down on a desk and type on it like a keyboard. Savor, 02 Oct 2008Despite media reports to the contrary, this isn’t an iPhone-Android fight. Comparing iPhone to... moreNever mind the principals of Android, I think this is more about consumer choice and market competition. - its opening up the awareness of device O/S. I went into a rogers dealership and asked 'what phones here use symbian' and the guy stares at me. He says 'the iphone has its own operating system, and there is windows mobile...'. Hopefully this will draw some attention to a market that could use a little more competitive stimulation, cuz frankly, most of the options here are pretty lame. One other down fall, calender view. I prefer the iPhone calender because of the full month view and daily appointmnets view all on one page. Just highlight the day and it shows the agenda for that day to the right side. This one has a month view but you have to open each day to see the acutal agaenda for each day. This phone is for kids!!!! who use both hands to type. Hello us grown folks, drive cars and multitask. Has anyone noticed how far the space button is from the right side, how hard is it going to be to use your right thumb on the "space button, g button, t button, 5 button" come on I have regular hands. I'm not Yao Ming. 2gbhosting.com, 03 Oct 2008Yes in $179 where?? 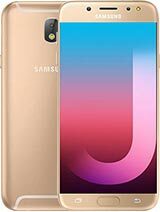 ?Go to T-mobile.com and youll see the ad for the G1 click and pre order the phone. it should be 179. G1 -$35 a month for unlimited 3g or EDGE websurfing and unlimited messaging or $25 a month for 400 messages and unlimited web. see what I just did? Its the same price, you get 3g goodness for free! 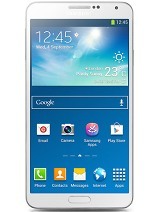 The G1 looks promising, and i do believe that it may be better than the iPhone. I have an iPhone, and the hype is well... too much. Too many bugs for my taste. If this phone is cheap enough, i may just switch to it. If not, im locked in with 3g for a while.